This is the story of a Habs defenceman named Jimmy Roberts. 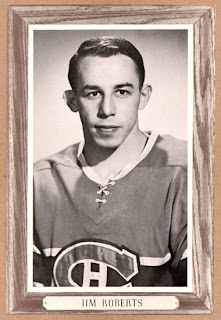 Born on April 9, 1940 in Toronto, Roberts played junior hockey with the Peterborough Petes. In 1964, he made his NHL debut with Montreal and won two Stanley Cups before being selected by St. Louis in the 1967 NHL expansion draft. He spent five seasons with the Blues, becoming team captain before his trade back to Montreal in 1971. He was a three-time All-Star. He won five Stanley Cups, all with Montreal. He played in over a thousand NHL games. For all these accomplishments, it would seem that more people should know his name but instead he spent his career in relative obscurity. Much like the subject of this blog, his job was to kill penalties and shut down the opposition's top scorers. Well, that's all fine and good, you say -- but what does all of this have to do with Carbonneau anyway? At 37, Roberts' career was ebbing. On August 18, 1977, he was traded back to the Blues in exchange for the Blues' third round pick in the 1979 NHL Entry Draft. That pick was used by the Canadiens to select a promising young center named Guy Carbonneau. Yes, that's right -- Carbo's playing career with Montreal began via a trade with the St. Louis Blues, and it also ended via a trade with the St. Louis Blues. As for Roberts, after retirement he began a successful coaching career, coaching the Springfield Indians of the AHL to two Calder Cup titles (in 1990 and 1991). In the 1996-97 season he served as interim head coach with the St. Louis Blues. But, a salute to Jimmy Roberts. 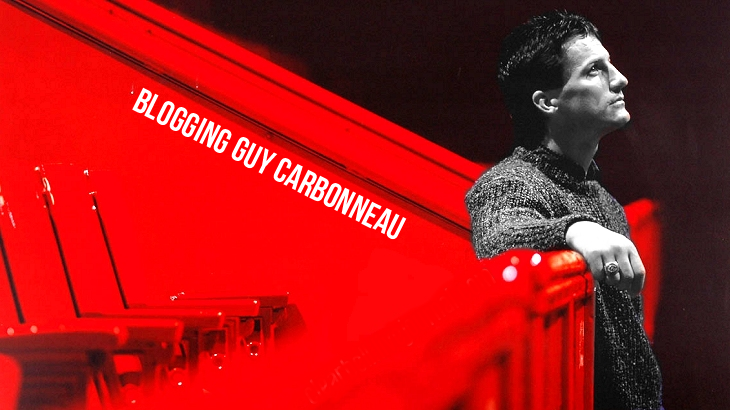 Because without him, who knows how the story of Guy Carbonneau's career may have been written.